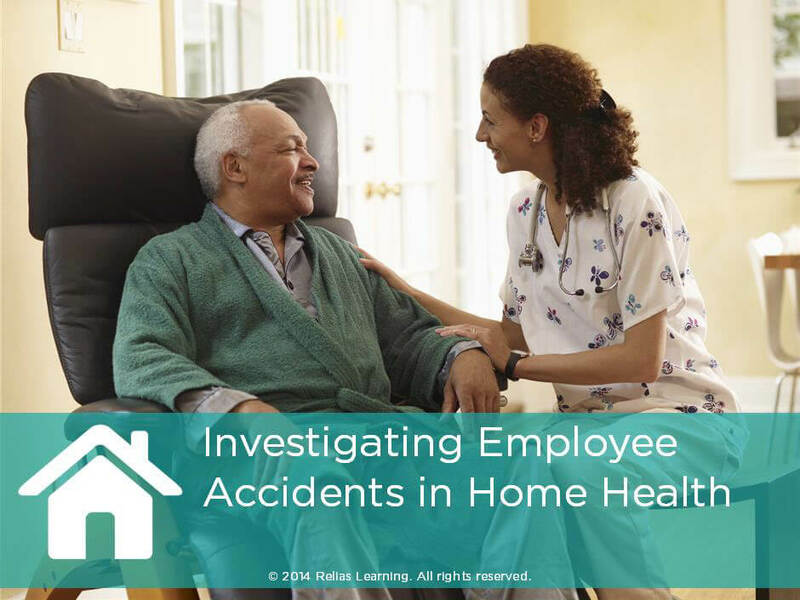 In home healthcare, a client’s home is the employee’s workplace and that workplace poses a variety of safety and health hazards, many of which the employee has little control over (Occupational Safety and Health Administration [OSHA], n.d.-b). In addition to the hazards found in all healthcare settings, there are some hazards unique to the home healthcare industry which may come from the client’s home (e.g. animals and unsanitary conditions), people residing in the client’s home, and the surrounding community (National Institute of Occupational Safety and Health [NIOSH], 2010). In fact, in 2007, there were almost 30,000 recordable injuries to home healthcare workers (NIOSH, 2010). Keeping staff members safe from injuries and illness is not an easy task. However, you can make the workplace safer by identifying the causes of employee accidents and, more importantly, working to prevent them from occurring. This course provides you with basic information regarding an employee accident investigation. In this course, you will learn the steps to follow when conducting an employee accident investigation. Describe the steps to follow to conduct a thorough employee accident investigation. The target audience for this course is: entry and intermediate level General Staff; entry level Administrators; in the following settings: Home Health.